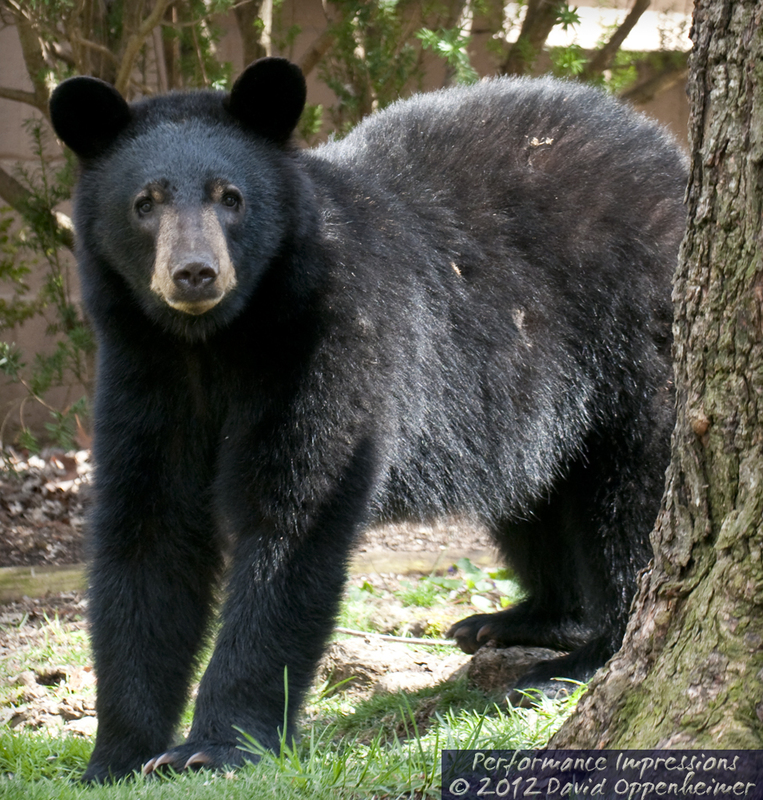 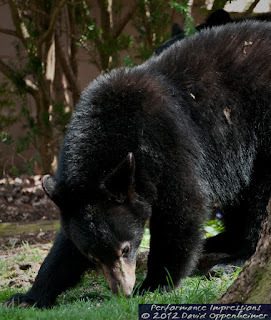 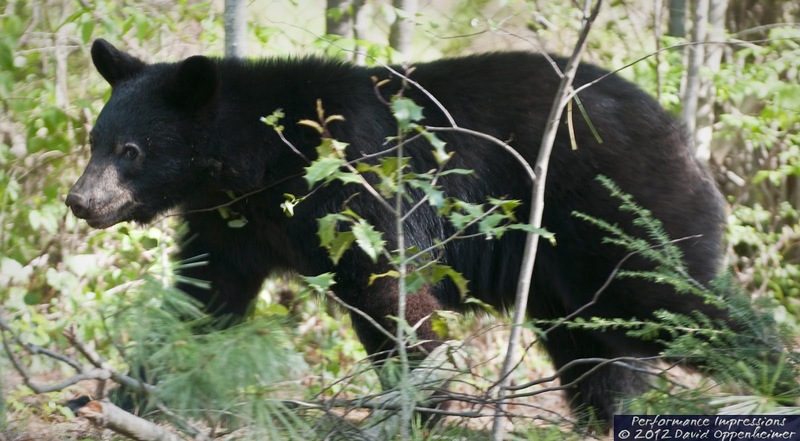 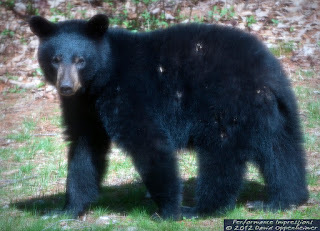 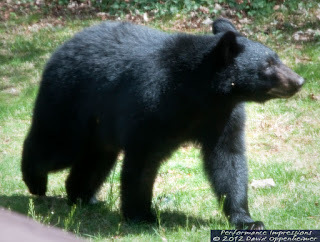 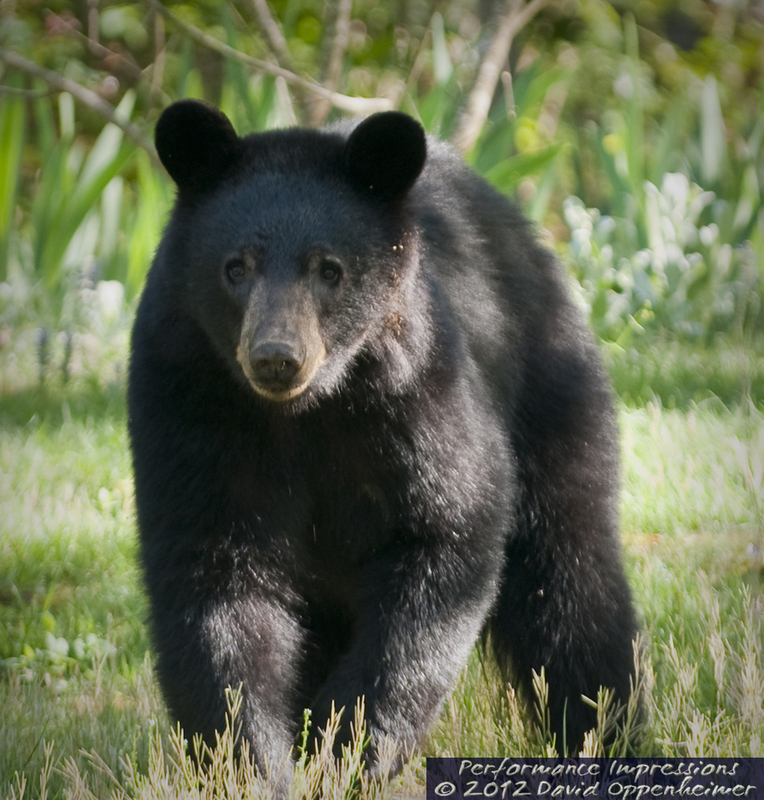 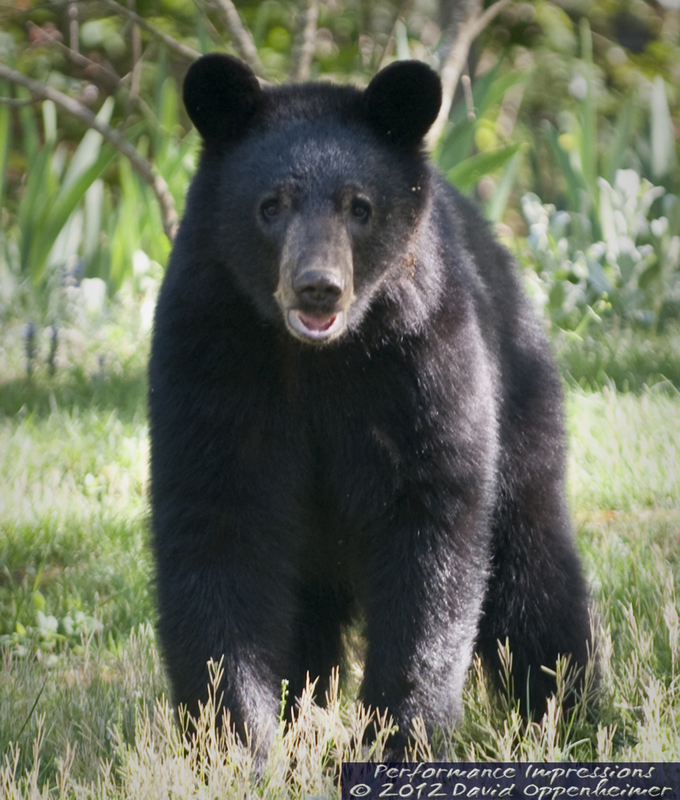 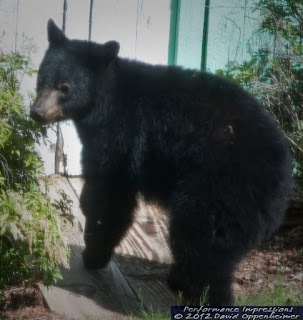 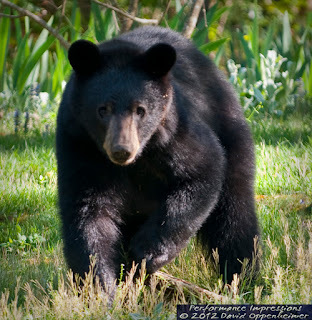 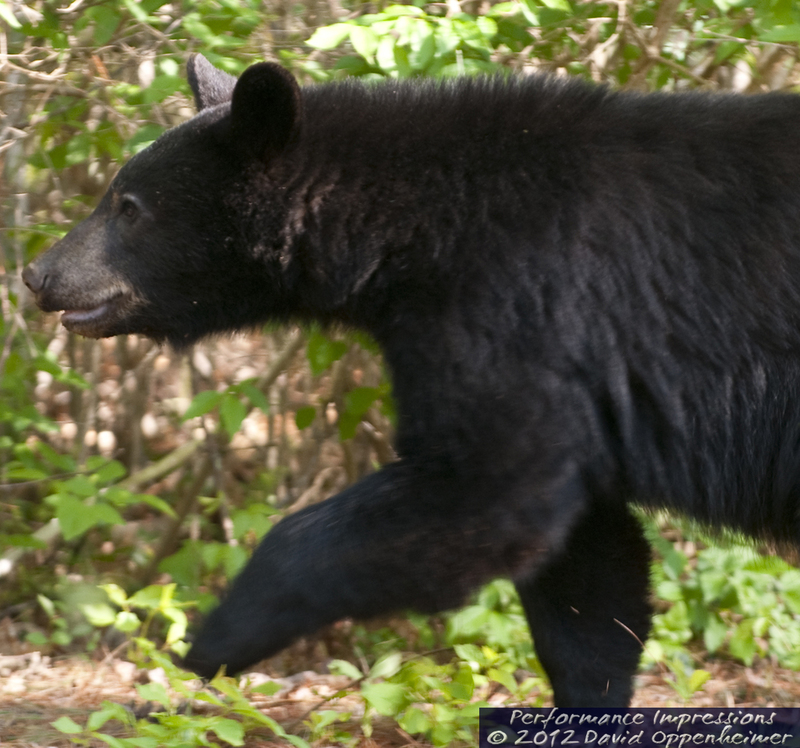 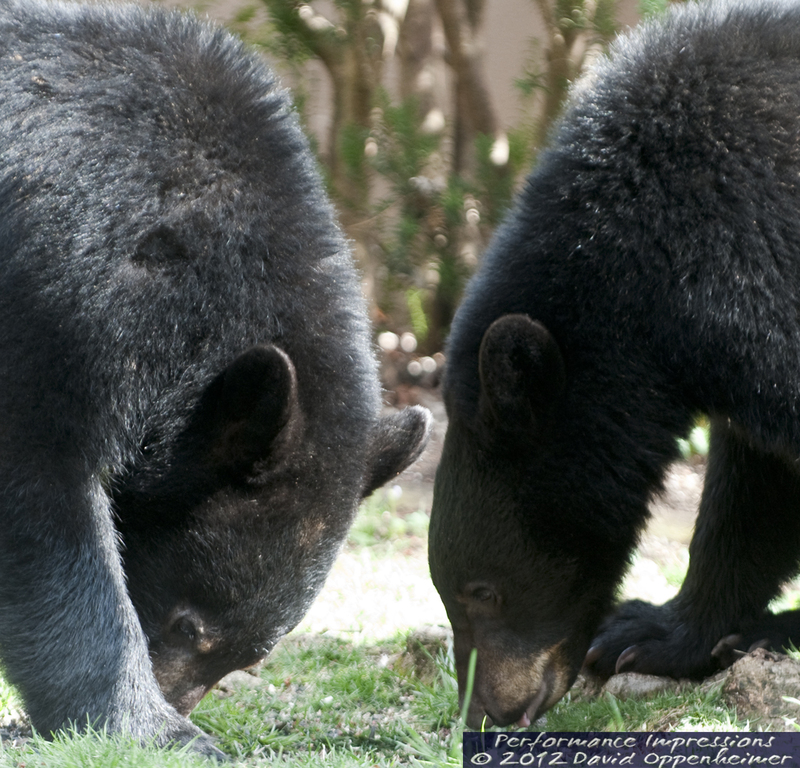 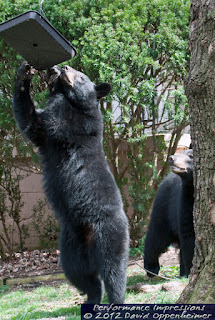 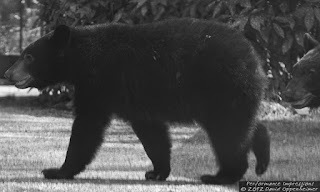 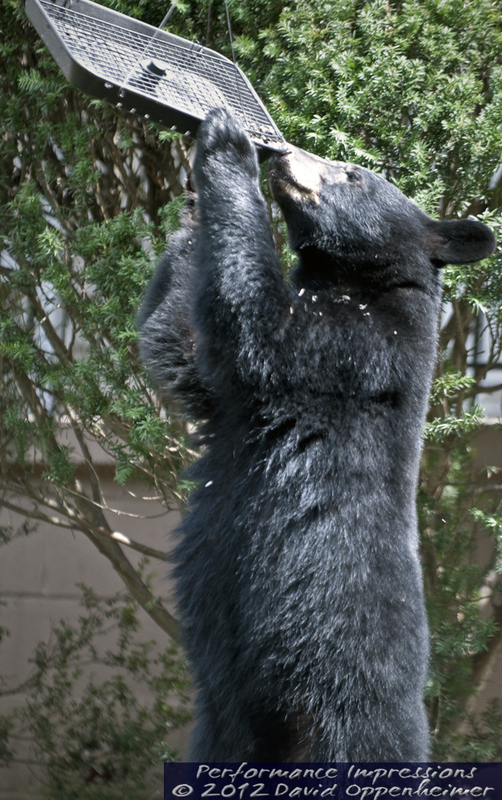 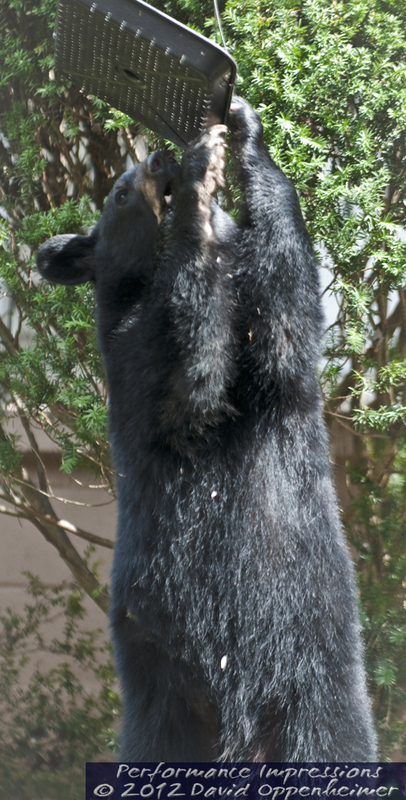 The North American Black Bear - Ursus americanus - is well established in Western North Carolina including the city limits of Asheville. 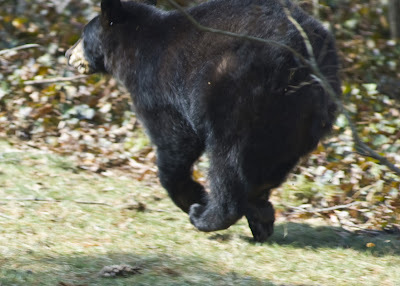 Bears run though our yard often. 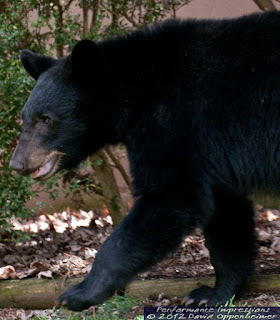 The City of Asheville was kind enough to exchange my trash can for one with a bear-proof metal bars to secure the lid. 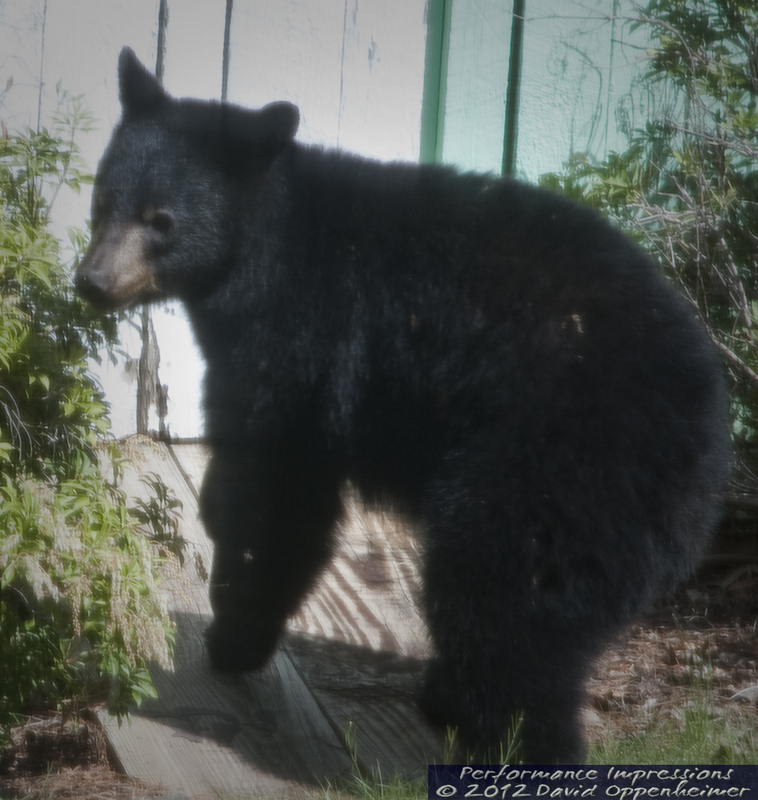 This bear came through about 10 days ago around 1pm. 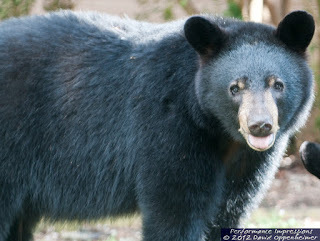 We live within the city limits of Asheville. Update: The bear proof trash can not only keeps me from having to clean up trash all over the yard after being ransacked by scavenging bears, it makes the neighborhood safer because the bears learn that these green food storage bins are not a free lunch and that they are better off foraging in the woods. If you have bears in your neighborhood, I recommend you ask the city for a bear proof trash can and encourage your neighbors to do so too. 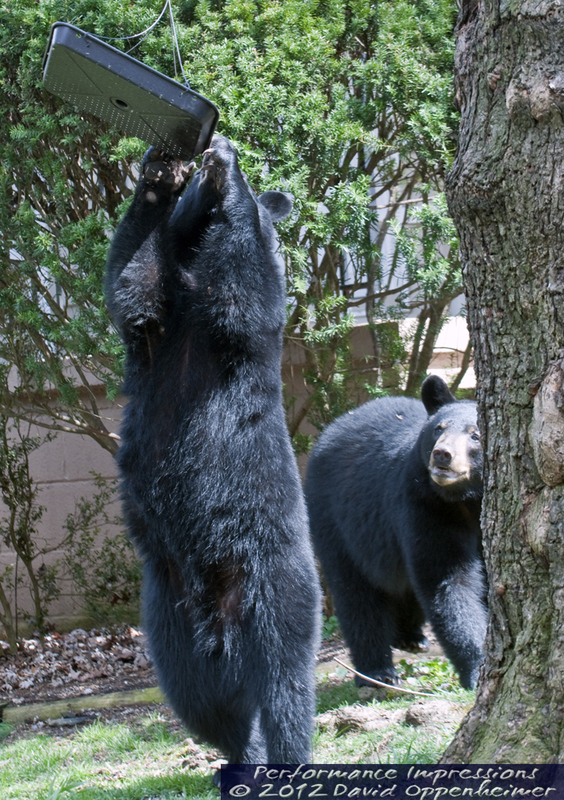 A few times the bears have come beating on the trash can trying to get in but the trash can has held up with "bearly" a scratch. 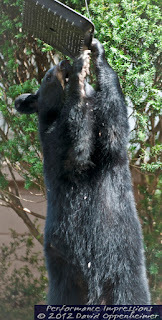 One time, after a dedicated effort to get in, a bear gave up and took a nap under a pine tree the backyard. 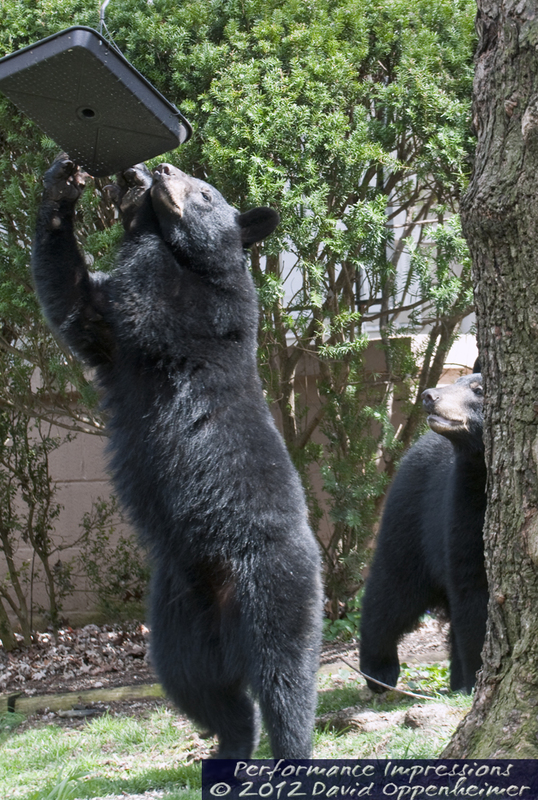 Bear-proof trash cans also help bears by helping to prevent their domestication and potential problematic interaction with humans and dogs.